A small finish... but a finish! We had a blind mug rug swap at our last guild meeting. I had so much fun picking out these fabrics from my scrap basket. Isn't the mermaid the sweetest thing you've ever seen?! She's from Kokka's November Books collection. Next up I've got to finish quilting my Modern Peel quilt so I can bring it to show and tell. That is so cute! 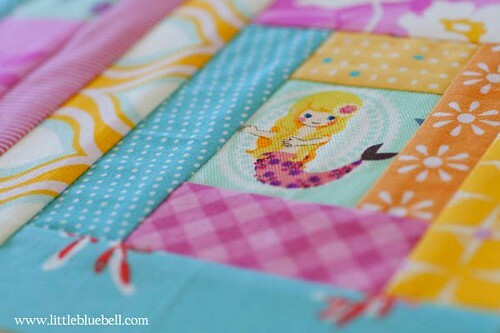 I love it - the colours, and the mermaid, and especially the quilting. She's adorable, she looks like she's hula dancing! 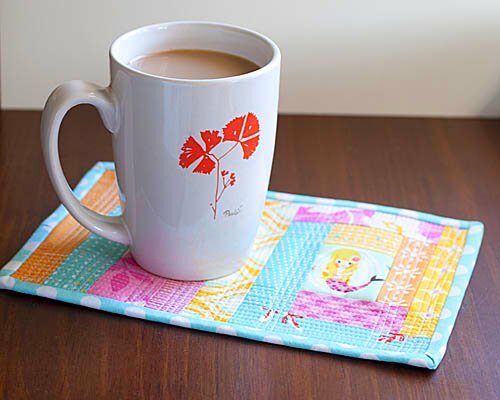 That is just the cutest mug rug ever....luv the colors!!! Cute! The colors are so pretty!!! Adorable! 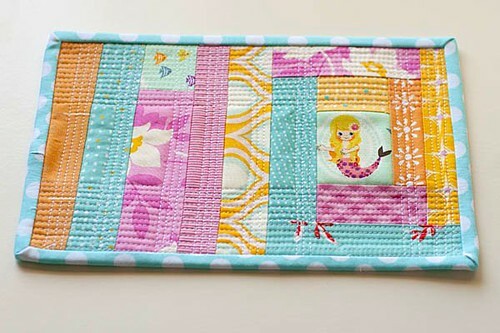 The colors and the quilting are just perfect!